Sports Desk: Bangladesh bowling sensation Mustafizur Rahman has been named in ICC Men’s ODI team of the year. 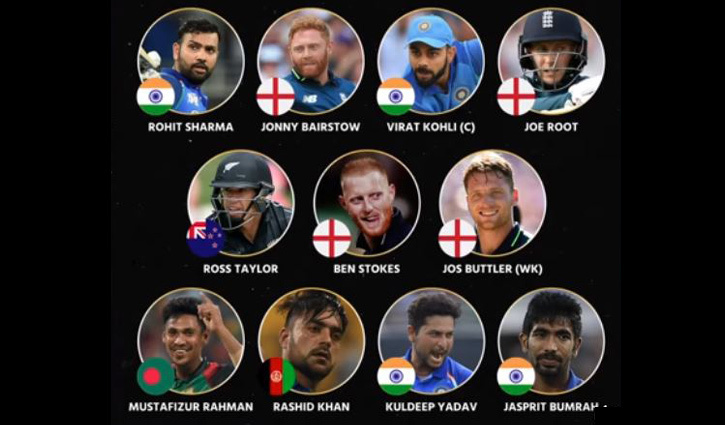 The International Cricket Council (ICC) today announced its ODI Team of the Year. Mustafizur is the only Bangladeshi who has found a place in ICC team of the year. Besides, one player from Afghanistan and one New Zealand were found in the list. However, four players from India and four from England were seen in the ICC list. Mustafizur played 18 ODIs in 2018 and took 29 wickets with the best bowling figures of taking four wickets conceding 43 runs against Pakistan in Asia Cup.